Many of us find ourselves becoming caregivers for our loved ones, whether it be for an infant, sick child, ailing spouse, parent or parent-in-law. According to a 2015 study by AARP and the National Alliance for Caregiving, an estimated 16-18% of adults are caregivers. That study estimated 60% of the caregivers are female. Beyond the obvious strains of caregiving, is the detrimental impact it has on our sleep. Poor sleep has been found to negatively impact; physical health, cognitive skills, productivity, weight management, mood, coping ability and even depression. When we are sleep deprived, we make mistakes, become clumsy and have increased risk of auto and occupational accidents. Sleep is frequently interrupted by needs of the loved ones. We wake up to care for babies that need feeding, a diaper change or simply won’t sleep through the night. Our ailing loved ones often need medication or other assistance during the night, or perhaps they have a sleep disorder. The caregiver can suffer from insomnia (inability to fall asleep or stay asleep) due to worry or stress. The many stresses of caregiving make it difficult to relax and fall asleep. These can include; the physical stress of caring for someone, the emotional stress of seeing someone you love face challenges or failures, and often financial stresses as you try to balance all of the additional costs needed for care on a limited income. A particularly difficult phenomenon for caregivers is called “sundowning.” This can occur in Alzheimer’s and other dementia patients, particularly in the mid-stages of the disease. The patient behaves relatively normally during daylight hours; however when darkness comes, they become agitated, often throughout the night, and unable to sleep, compromising the caregiver’s sleep. Parents of newborns are well-known to be sleep deprived. Although infants need a lot of sleep, it takes a while for them to consolidate most of their sleep into a somewhat solid block of nighttime sleep, accompanied by daytime naps. How can you safeguard your sleep while caring for someone who needs you? There are some strategies everyone can use, while others will depend upon your particular circumstances. As much as possible keep regular bedtime and awakening-time. Get bright light in the morning (the earlier, the better). Avoid light in the evenings before bed – including light from screens (T.V., computers, phones and tablets). Keep your bedroom cool, quiet and dark. Eat a nutritious, balanced diet. If you need a bedtime or night-time snack, try to choose something that is high protein. Exercise regularly, but not too close to bedtime. Good sleep hygiene for your loved one can also help. Particularly good light exposure in the mornings and limiting it in the evenings. Look for resources to help with caring for your loved one, such as finding a relative or friend to relieve you for a few hours or hiring someone to assist with household chores. Physicians can help. A discussion with your loved one’s physician may connect you with an agency that can help give you a break or relief. Consider asking them to evaluate your loved one for symptoms of sleep disorders in addition to their other health issues. A medication evaluation might be worthwhile. If there are any medications that have unwanted side effects on the patient’s sleep, discuss pros and cons of alternative medications or treatments. Finally, consider contacting a local sleep disorder center for help. While some only perform diagnostic testing, look for one that has specialists on-staff to provide therapy for issues that are common in caregivers, like insomnia. Getting some help for yourself while you’re helping your loved one can be a great improvement for both of you! Ms. Denault has been involved with Sleep Medicine for almost 3 decades. She obtained her B.A. in Psychology from Johns Hopkins University in 1988. She holds Registered Polysomnographic Technologist (RPSGT) credential #720 (there are currently more than 17,000). In addition to her RPSGT, she also received the Registered Sleep Technologist (RST) credential during its inaugural year and Certification in Clinical Sleep Health in 2017. Her experience in sleep medicine includes front-line patient care, management, research, education and legislative activities. 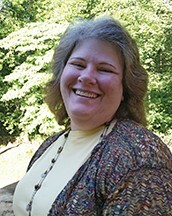 She has worked on item development for national sleep technologist exams. 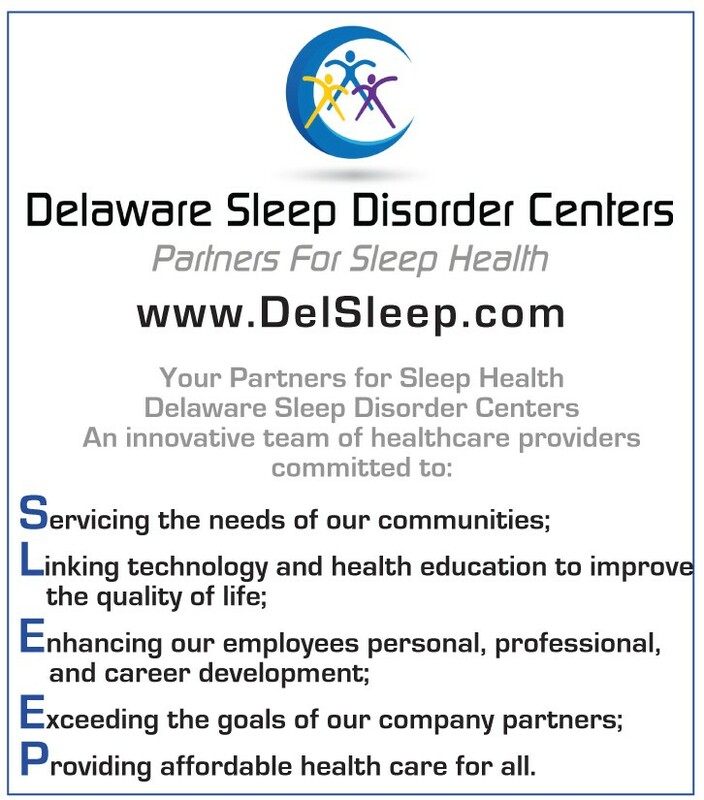 Delaware Sleep Disorder Centers, LLC, is staffed and equipped to evaluate and treat most sleep-related disorders. Diagnosis and treatment for many disorders may begin after just one night. When performing a sleep study, our technologists work closely with our medical director – (a physician who is board certified in Sleep Medicine, Pulmonary Medicine or Neurology) – to identify and confirm sleep disorders, measure their severity and recommend multiple treatment options.